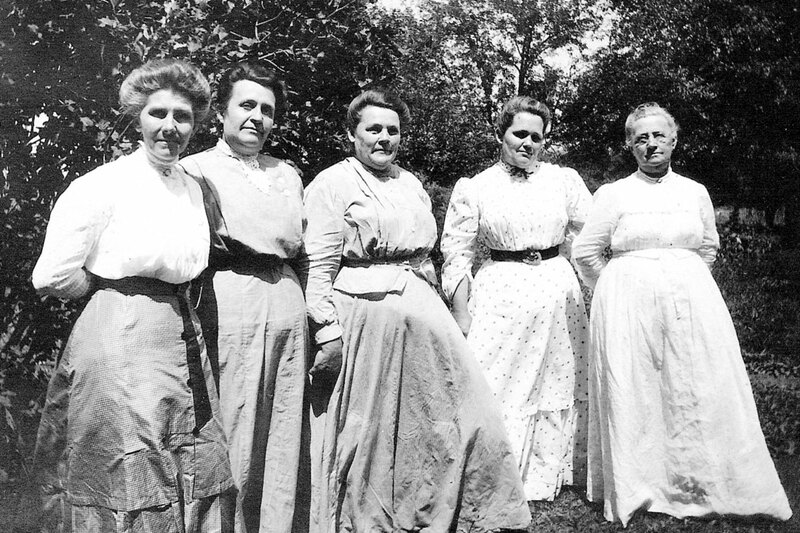 Henrietta(Costlow)Ingels (center) and her sister Flora (far right) are shown in this photo from 1910. Her husband is John Ingels. The identity of the other women are unknown.